edit: Mit der Zeit ein etwas nervender Ohrwurm... wird wohl bald auch die CH/DE-Top10 knacken. The guitar catches me, though the chorus singer (which I've heard is a sample) doesn't sound very good with the rest of the song. Flo's rap goes pretty well and I find this to be generally catchy. The rating of this song may be changing frequently, but this seems right for now. EDIT: 4* -> 5*. Loving this more now. EDIT 2: 5* -> 6*. One of my favs now. EDIT 3: Okay, 6* is a bit much. I quite like the music and Flo's parts, but the sample really lets this track down for me. It is chopped up in a way that is so unrefined and sloppy. This track had the potential to be much better if the sample was re-recorded, either by Etta James herself (I understand that she is getting on) or another artist. One of the first times i've enjoyed flo rida. I feel silly now the rap is boring. Thankyou to Avicii and Etta James however. There seems to be a growing trend with Flo Rida. The 1st single off each of his past 3 albums have been chart winners & have tlanded themeselves within in the top 5. 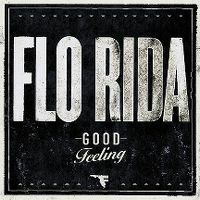 "Good Feeling" is actually a good song throughout & a bit different to the usual Flo Rida music. I love the "Good Feeling" sample throughout & can not see why this won't be a success. Awesome song! Als "Levels" ohne Flo Rida ungleich knackiger, aber die Teile ohne dessen Beteiligung bleiben halt eben gut. Ich kann trotzdem sehr gut auf sein Gelaber verzichten. Klingt frisch, dank dem gut ausgetüftelten Sound (ist von Avicii oder?). Die Melodie selbst ist jetzt keine Meisterleistung u. der Song wird vermutlich nicht die Musikszene dermaßen bewegen. Ich finde, der Song hat so etwas leicht 90er-mäßiges. Der nächste Hit, der spätestens übermorgen kein gutes Gefühl mehr verbreitet. Clever eingebautes Sample von der legendären Etta James, das muss man dem Song positiv anrechnen. kann etwas nerven aber ok.
Eigentlich starker Song, jedoch wieder mal (wir sind uns das ja gewohnt von FloRida) überall zusammengeklaut. Davon abgesehen ist "Good Feeling" ein starker Song. Etta rettet da leider wenig! Irgendwie ist dieser 08/15-Mix aus allen Stilen nicht so wirklich gelungen.